Be sure to see one of our fashion shows at Rosecliff: 12:00 noon and 2:30 pm. Same showcase of bridal gowns & mothers dresses - 2 chances to enjoy! 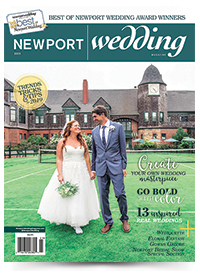 Please visit us at Rosecliff booth #1 at the 14th Annual Newport Bridal Show on February 20, 2016. We look forward to meeting you there! Complete the form below to send Alexandra's Boutique an e-mail message.